Dave Eggers gives us “A Backbreaking Work of Incredible Thinness,” Philip Roth gets into a fight with Nathan Zuckerman, E. Annie Proulx is guilty of “Vocabulary Crimes,” and we read the missing transcript of Jonathan Franzen on the Oprah Winfrey Show. We visit Frank McCourt’s disturbing childhood in “Angela’s Eyelashes,” we learn from David Mamet “How It Is To Write,” and go “Trainspitting” with Irvine Welsh. Toni Morrison gets “Belabored,” P.G. Wodehouse admits that “She’s a Right Ho, Jeeves,” Mary McCarthy foils Lillian Hellman’s attempted assassination of Hitler, David Foster Wallace proves an “Infinite Pest,” notes are found for J.R.R. Tolkein’s abandoned opus, “The Lord of the Strings,” and polar explorer Ernest Shackleton gets lost on the London bus system. 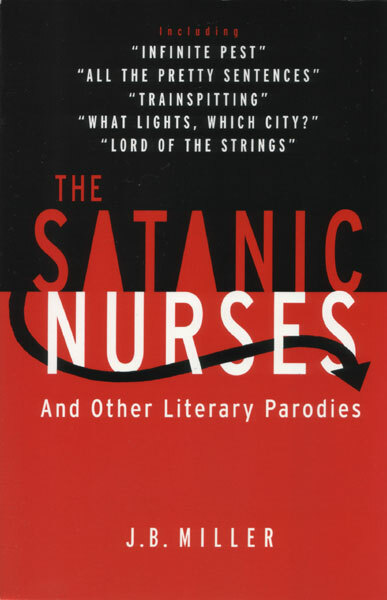 These are just some of the forty-four witty and outrageously funny pieces that comprise The Satanic Nurses, a satiric anthology of counterfeit lit.